The rising instances of car theft in the 1990s set alarm bells ringing, and the need to bolster vehicle security was realized. Since then, the evolution in the vehicular security industry has been nothing short of phenomenal. 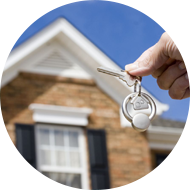 One of the biggest challenges was overcoming the shortcomings of standard keys and locks. The keys could be easily duplicated and the locks could be easily picked open. 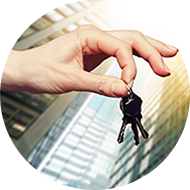 In a bid to put an end to it all, the industry reverted with its answer – high-security keys . 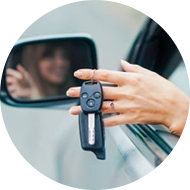 The incorporation of these keys in vehicles led to a steep decline in vehicle thefts. If you own a latest vehicle model, it’s likely that your vehicle already uses this, if not, you need to upgrade today. As the name implies, they add an extra layer of security to your vehicle. While standard keys can be easily replicated, these keys are generally laser cut and in addition, they have a programmable component that makes duplication difficult. The transponder chip needs to be programmed right, because once the key is turned in the ignition, it must send out a unique signal to a receiver in the car. Upon validation of the signal, the car’s engine is allowed to start. Most high-security keys are encrypted with rolling codes that constantly change, making duplication a near impossible feat. I need a spare high-security key. What do I do? 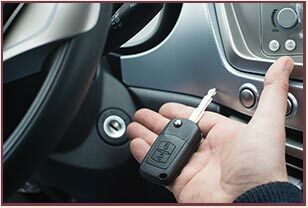 If you ever lose your keys or has gone defunct, there’s absolutely no way you can coax your vehicle to start. To prevent being cut off from access completely, it’s better to always hold on to a spare. However, what with the complexity involved in making such keys, the costs associated will not be light on your pockets – that is, if you approach your dealer for it. Avon Locksmith Service , on the other hand, can get high-security keys made at a fraction of the cost and in minimal time. Losing your keys and being locked out of your vehicle can be a distressful ordeal. But you don’t have to go through all that; not with our service by your side. 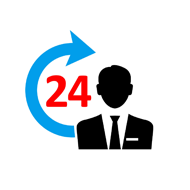 We’re available 24/7 in Avon, OH area and arrive on location to make keys for you in quick time. We carry all the computer machinery and key cutting equipment needed for the job on our mobile vans. You can watch our experts craft a new key within 30 minutes, right in front of your eyes. For more information, call 440-653-8247 !